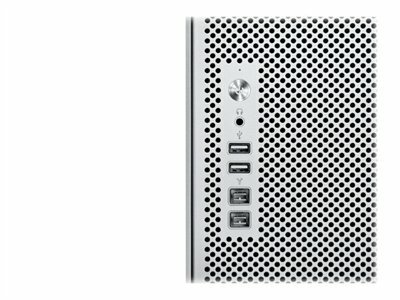 Powered by two Intel Xeon processors, the Apple Mac Pro MC250LL/A desktop is a powerhouse of great computing speed and performance. 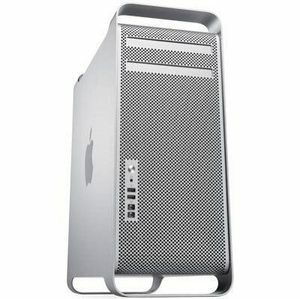 The integrated ATI Radeon graphics processor in this Apple desktop facilitates an outstanding graphical performance. The built-in RAM in this Apple personal computer makes data processing fast and easy. The spacious hard disk of this Apple desktop offers plenty of room for you to store your everyday files and data. Peripheral inputs like FireWire and USB ports, amongst others, further enhance the connectivity options of this Apple personal computer. 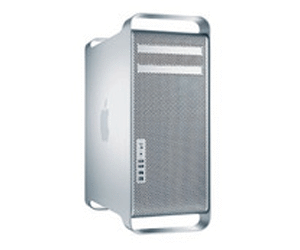 The sturdy tower form of the Apple Mac Pro MC250LL/A comes equipped with strong handles for easy handling.